Senate minority leader Alan Peter Cayetano recently filed Senate Bill 3226 seeking additional government funding for the education of children with special needs. The bill also aims to improve the cooperation between the local government units and the Department of Education in answering the needs of the young and disabled. 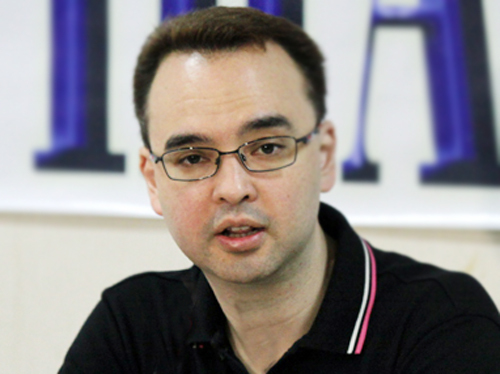 Senator Alan Peter Cayetano. Photo credit: PDI. Government statistics reveal that 10 to 13 percent of the country's school children suffer from a form of physical, mental, emotional or behavioral disability (as of this writing, it is unclear if this figure includes the autism sector). This statistic is currently not supported by the 1,176 SpEd teachers in 155 special education centers in the public education system -- which only addresses a staggering three percent of students with special needs. “It is a state obligation to provide special nurturing for the education of children with special needs as they are equally entitled to the same free basic education guaranteed by the Constitution to children under regular school systems,” Cayetano said. Cayetano further enjoins the private sector to help fund special education programs as part of their corporate social responsibility initiatives. Do your share in bringing programs which empower families and educators to help the autism sector. Donate to ASP. It is nice that Senator Cayetano seeking additional government funding for the Philippine Education of children with special needs. Hope that this fund act 2012 was continuously.